The REC Foundation & VEX Robotics welcomed Dallas-area students to our Girl Powered Flagship Event on Oct. 11, which coincided with the International Day of the Girl! The event took place at Texas Instruments, with a panel of inspirational speakers, followed up by a series of hands-on STEM activities and giveaways. Photos and a video of the event are now available. Many thanks to all 100 sites across the U.S. and around the world who hosted Girl Powered Workshops October 6-15. Join us to ensure that robotics is an engaging and welcoming space for all students. 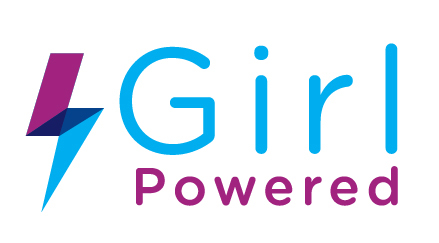 Visit GirlPowered.com to take the pledge today! The On-Field Robot Expansion Sizing Tool is the next generation of the Robot Sizing Tool. Use this product to inspect whether a VRC In the Zone Robot fits into the starting configuration of 18″ while not exceeding the maximum expansion limit of 36″. 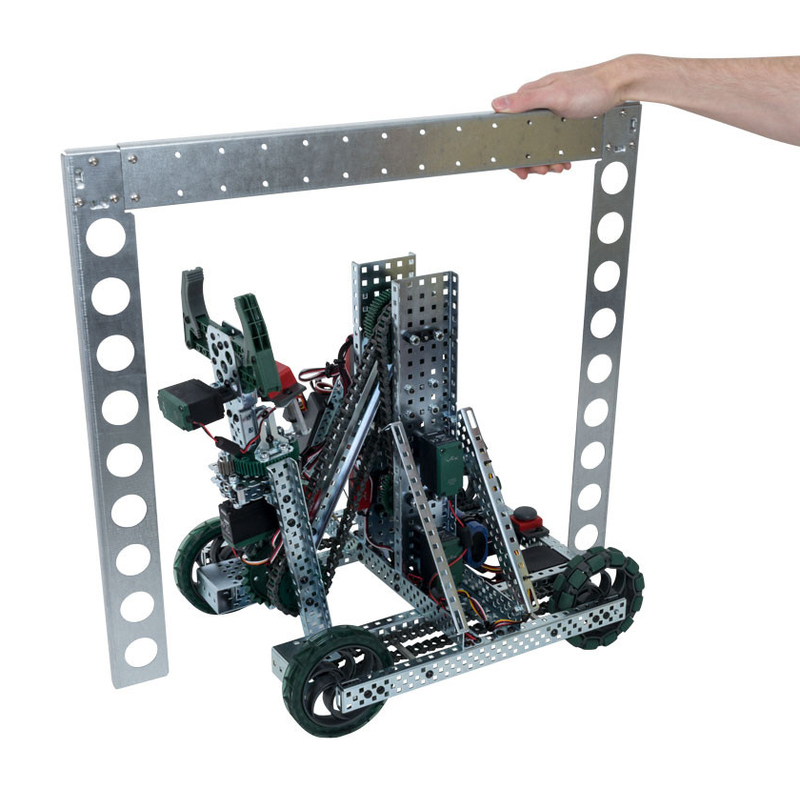 The sizing bracket does not require the robot to be sitting on a baseplate, and can be used to measure a robot on any surface. The On-Field Robot Expansion Sizing Tool is provided unassembled in the EP support kits in the same box as the banners. If you have any questions, please contact your Regional Support Manager. Quick reminder as the season gets underway, judging deliberations are confidential and all paperwork associated with judging is confidential. Only Judges are to be allowed into the Judges’ room during an event. Rubrics are only part of the judging process and are not solely relied on to make final decisions. Judge advisors should remember that all rubrics and other judging materials are not to be shared with anyone outside of the judging room. This includes teams, mentors and event partners. Judge advisors are reminded to collect and dispose of all judging materials after an event. This year’s Referee Videos are now available! Find detailed referee videos for VRC In The Zone and VEX IQ Challenge Ringmaster. The Referee Guides will be available by Friday, October 20, and they pair nicely with the Referee Guides under the Judge/Volunteer Resources tab on the EP Resources and Documents page. We posted a new Volunteer Planning and Staffing Guide to help you expertly prepare and organize volunteers more effectively. Along with new sections including a list of businesses with employee programs for volunteer recruitment, we also compiled best practices shared at the 2017 EP Summit. Learn how to better Recruit, Train, Manage and Staff your volunteers today! Find this guide on the EP Resources and Documents page under both the Event Planning tab and also under Judge/Volunteer Resources. At this year’s EP Summit, all agreed the new volunteer position of Skills Referee is essential to ensure consistency and fairness across all events for Skills Challenges. The Skills Referee is a Key Volunteer who must be experienced and know the game and rules, including scoring. Please prioritize this position at your events to help us enforce quality standards across all local competitions. 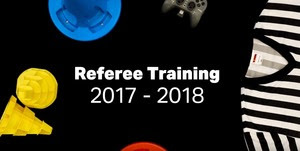 Find the Skills Referee role overview document on the EP Resources and Documents page under the Judge/Volunteer Resources tab, including expectations, skills required, and recommended training. Planning a VEX IQ Challenge, VEX Robotics Competition, or VEX U event will take a bit of preparation to be sure everything is in place for the big day. We should know, we see several events each season and through trial and error find that running through our pre-event checklist can help ensure a successful experience for everyone. Give the Pre-Event Checklist a try and let us know if it saved you some time this year in your planning efforts! Make sure the alternate email address in your RobotEvents.com team account is different — not a school address.